than frequently encountering irate customers in a job. Does the company EAP have a role in reaching out, helping these workers, and in effect, claiming the high ground associated with this area of behavioral risk and exposure that can affect a company's bottom line? I say yes. And it fits the EAP core technology perfectly. Violence in the workplace, verbal assault, morale issues, turnover costs, team degradation, employee-victims blowing off work the next day and calling in sick (aka "taking mental health days"), physical illness, and lower productivity -- all of these metrics can be adversely affected by a poorly managed "customer aggression intervention education program" in the workplace. Never heard of such a program? You have now. I think you should consider starting one. This is fertile ground for EAP work. There is plenty of research on the impact of aggressive customers and the consequences of their behavior on employee wellness. But there are few programmatic intervention approaches run by those with behavioral health knowledge and experience. Frankly, hopes of the employee self-referring to the EAP are not really going to cut it as the only way to deal with customer service stress. A more proactive approach is needed. I am developing a tip sheet on this topic and will make it available to you soon, but at least for now, let's discuss some of the ways employees can cope with this common workplace issue of customer service stress vis-a-vis the angry customer, and bit about the EAP role. A recent study released this past summer found that consumer bargain hunters, for example, treat store clerks "as less than human." It's almost as though they go into "a zone" that turns employees into objects. Here's the study. You can assume there are customer service employees who, after dealing with an irate customers, desire nothing more than to drive home, jump back into bed and hide under the covers. These workers are your target audience for offering additional support from the EAP. Add value to your EAP by developing referral funnels that spot these workers, discover their needs, and turn them into thankful clients. This is truly "value-added" EAP at its finest. Help employees discover the tricks of the trade for dealing with angry customers. Here are a couple ways to counsel these employees so they develop more resilience and are able to help themselves face hostile customers. This is a powerful awareness, and like the other tips that follow in this post, helping employees "reframe" their experience is critical in order to help workers feel more empowered. Ironically, quick intervention leads to escalation of the angry and hostile customer reactions. The missing link? It's empathy. Coaching employees to resist the urge interrupt, argue, or engage in problem solving immediately is key to helping reduce customer agitation. Remember those counseling interview courses or social work interviewing courses you took in school? You undoubtedly learned about the levels of empathetic response that professional counselors use to help clients feel heard. This is an excellent model of communication that customer service employees can also learn. And you can teach it to them. Learning the levels of empathetic response will be fun learning and it will also be appreciated as a way of helping employees remain calm and keep their cool when customer aggression ramps up and the pressure is on. You want to help employees develop better reflexes and actually relax in the face of customer agitation. Teach them to slow down their breathing and listen intently without fear -- help employees become fearless customer service honey badgers as they maintain eye contact with their customers. Employees should learn that the angry customer eventually runs out of steam and pauses to collect his or her thoughts. When this happens, you've got them -- right there, take the opportunity to apologize. This is the employee's "in." Apology is an art, and it is well worth learning. So, the EAP should do a couple presentations or role plays. Not difficult, but important. 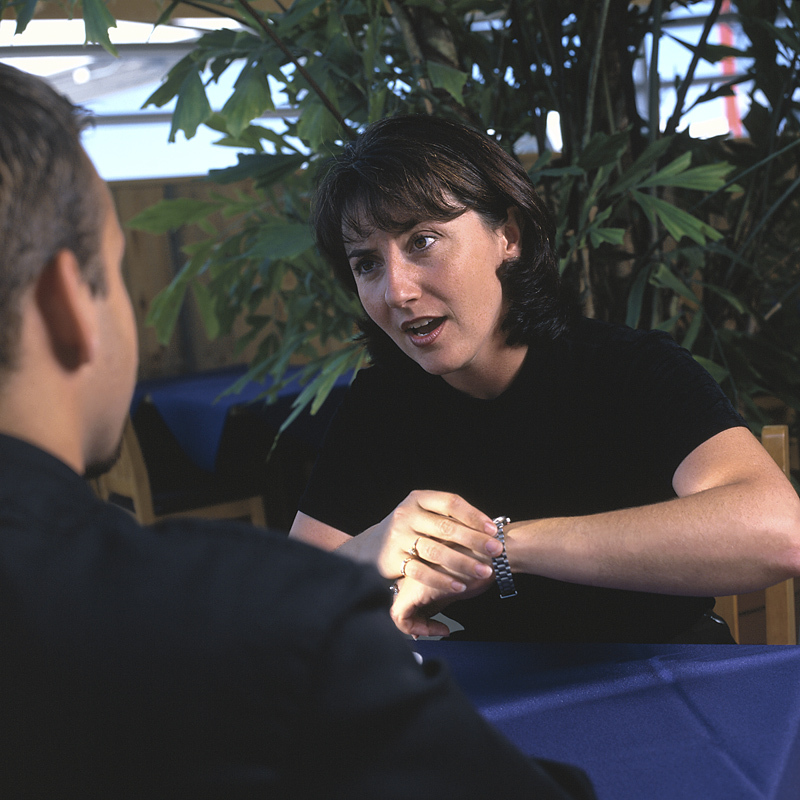 Apologies can reduce the customer service employee's stress, as well as the customers'. Help employees learn the art of an effective apology because it goes right to the heart of what has upset the customer. Remember above when I discussed the "levels of empathy" that you may have learned in professional counseling courses in college? Draw on this material. It is a good place to practice these skills. Here are the levels in response to the above. You may have to create your own examples, but follow this model below and you will do great. Issue: "Customer is angry and shocked at a $10 service charge." Empathy 1: "Don't blame me." Empathy 2: "I can't do anything about it." Empathy 3: "Sorry you are just finding out about this." Empathy 4: "Your reaction to this charge justified." Empathy 5: "I must feel blindsided and taken advantage of by this." As you can see, the above can create a lot of discussion in a seminar setting with customer service employees, but who better to help them deal with stress, understand empathy, gain resilience, have a bit of fun, and experiment with empathetic responses and customer than you as the EAP? A mistake but often seen as an easy out for customer service employees that actually makes problems worse is resisting the anger and blame. Employees often attempt to shift or pass the buck to others in the organization so one does not feel targeted. In your customer’s eyes, you are the company, so don’t take anything that’s said to you personally. (Admittedly, this is easier said than accepted at an emotional level, but with practice and tools, it eventually becomes part of the employees "tool box." More customer service training for employees that you can consider is helping them understand is how to immediately, after apologizing, repeat the customer’s complaint to him or her. This reflection and clarification assures the customer that the employee is concerned about the problem and will help the customer avoid further misunderstanding that may incite anger again. This is the part of the proof that things are going to get better. Employees have tremendous influence over their customer’s emotional state. This is the key point in any seminar to assist them in stress management. For example, something like lowering the voice and speaking slowly and calmly in a pleasant manner relaxes and disarms most angry customers. The longer customers wait, the more they seethe. It is a simple strategy to make the unhappy customer the employee's top priority. This is in fact, the first rule to reduce one's personal stress. Avoid delay and denial. Help employees understand that the goal is ultimately to have the customer see the customer service employee as not just an employee, but an advocate. Without this goal in mind, the default position is "opponent." Once empathy is shown, a quick pivot to a discussion resolution the customer is looking for is the correct path. When an employee can't find an immediate answer or solution, then what? The best answer is usually taking charge, promising to follow up later. Take down the customer's contact information and outline the corrective steps one is going to take. This part is critical in order be believed. The employee risks escalation without this "part B" to the follow up promise. Include the names of everyone who will be involved in the solution. You will be accountable and available for follow up. Don’t write them off! An angry customer is not necessarily a former customer. 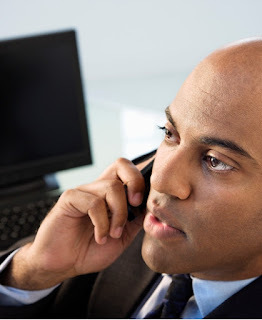 A follow up phone call or message a few days following the resolution of a complaint sends the message that the customer service worker cares about delivering satisfaction. Most customers just want to feel valued. Small considerations build loyalty. Employees who are customer service workers can’t please everyone, but they can improve and enhance company’s image and responsiveness in every dispute. The more they practice these above techniques, the more success they will have in calming customers and winning them over. And of course, less stress is the big payoff.